This is going to be short, because despite what many experts say the problem with modern education isn’t deep or complex. The problem is that we’ve forgotten why we educate. When the American founders adopted a system of education for all youth in the growing nation, and made it law through the Northwest Ordinance, they did it for a specific reason. 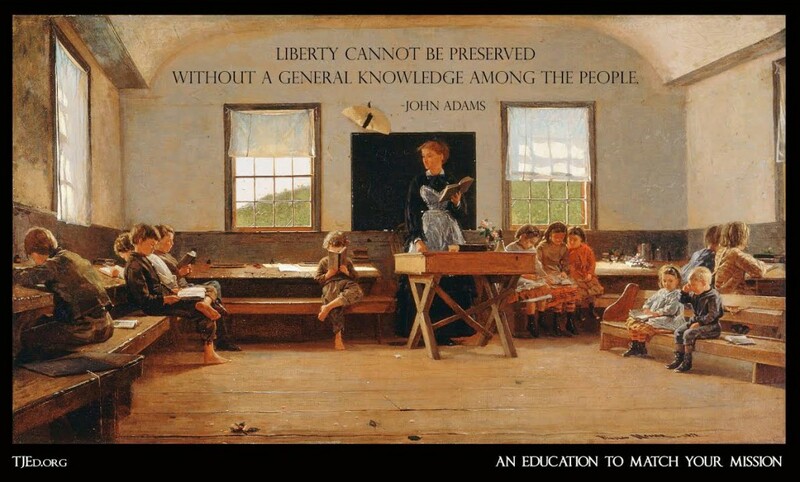 The founders wanted every child in the United States to get a good education, because they knew this one thing would be the most powerful influence on the future of freedom. America benefited from this and grew in prosperity, power and global influence. But somewhere along the way we lost our reason for educating. In the 1930s, for example, the Left argued that schools should be used to promote more social justice, and the Right contended that the main focus of schools should be training young people for jobs and careers. While both of these agendas have some merit, the loss of freedom as the central purpose of American schools has had a terrible impact on the voting public—and as a result, freedom is in decline. In a nutshell, this is the problem with education today. The good news is that the solution is actually quite clear. This quote tells parents and teachers, as well as school administrators and grandparents, exactly what we need to do. If we do it, we will create another golden age of American education. This is what made American education, and by extension America, great. The further we move from this, the more American education declines. What are some periodicals and newspaper or websites that you would suggest then? Our newspaper is very liberal, and hardly worth reading anyway. I’d like to have options to share with my kids, especially my eldest (11.5), but I don’t know where to start. Thanks! My problem is that it frustrates and literally sickens me to read about politics and the state of our nation today let alone keep up with it well enough to help my children keep up with it! We can easily learn about our founding fathers and what government was meant to be, but does anyone else have a hard time teaching current events? Also, do you have any feedback or opinions on the Uncle Eric books by Richard Maybury?